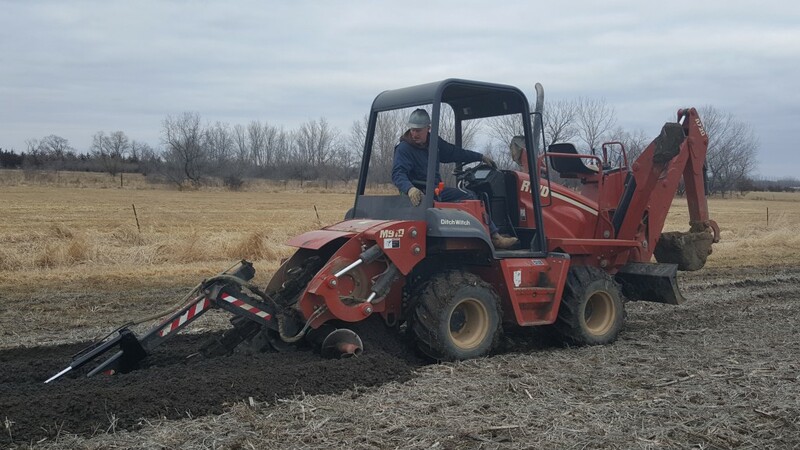 Trenching and Backhoe Service | Webster Well Services, Inc.
We can trench a standard 6 inch wide trench for installing water service to buildings, frost free yard hydrants, or electrical service. We can also trench up to 12 inches wide for large irrigation pipe installation. Backhoe trenching is available up to 36 inches wide.